Apply for the NOAH Startup Stage now! 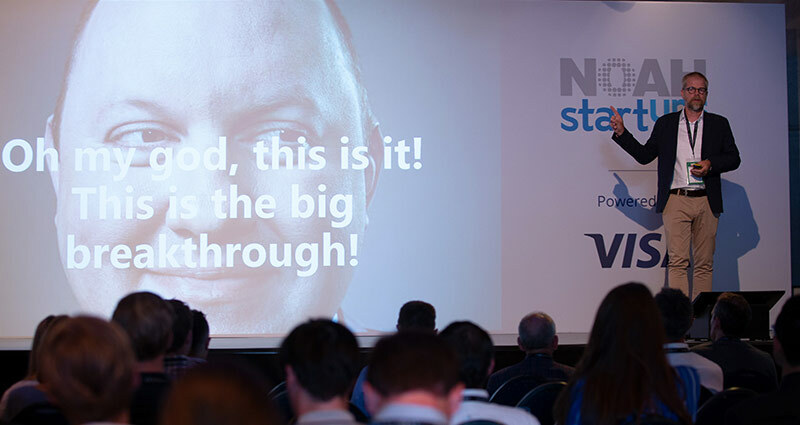 We are calling out to Europe’s most exciting startups (founded 2014 or later) to present their businesses at the NOAH Berlin Startup Stage in 2019. The NOAH Conference provides a unique environment to meet relevant angels and VCs looking for early-stage opportunities and increasing public awareness. 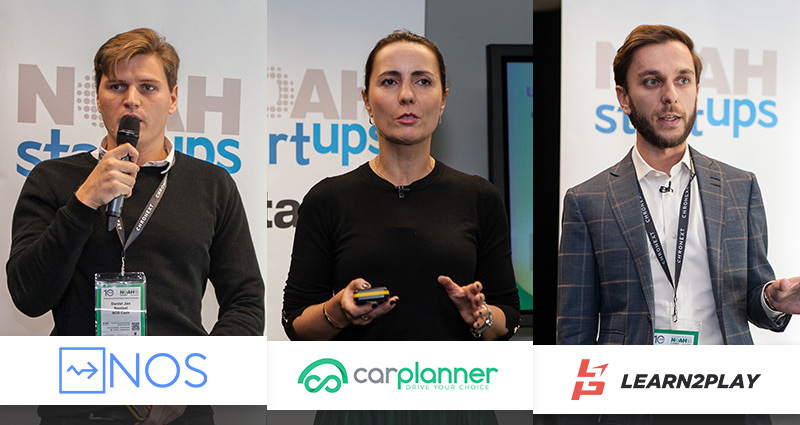 We’re thrilled to have collected the most votes for our startup stage ever – and following some incredibly close competition, here are the winners from NOAH London 2018! Congratulations to the voted winner NOS Stablecoin as well as runners-up CarPlanner and Learn 2 Play, which will present their ventures on the main stage of our upcoming NOAH Berlin on 13-14 June 2019. There are many opportunities to get involved. Companies looking to win tomorrow’s champions as clients early can offer their services / products for free to our winners. We invite early stage investors or associations to bring their portfolio stars on our stage. Of course we are always happy about relevant startup news sites, blogs and influencers who help us spread the word. Looking for great companies but missed our past events? Looking for inspirations for your own pitch? Many of our past companies did very well after their NOAH pitches… coincidence? Here a few selected success stories. We were really pleased with our participation at NOAH. We had 30+ meetings with investors at NOAH. Presentation also generated interest from strategic players who reached out to us. Presenting on the NOAH Startup Stage was a unique opportunity for exposure to a great audience, alongside some of the world's most promising internet startups. Having had the opportunity to pitch my startup to industry leaders gave me access to an incredible business network. Invaluable! NOAH helped us bring on 5 new customers in 2 weeks after the event including major players in the European travel space. The Startup Stage also lead to 3 hot investor leads that we are currently negotiating with. Highly recommended! NOAH was a great conference for us as we got to meet so many investors in one spot. The event was really great and the quality of the people very impressive. We have connected with 3 investors after the pitch and we’re in discussions with them, in addition to 2 potential partners. An opportunity to present at NOAH Startups Stage is every startups dream! I had a pretty good NOAH, met with a handful new potential investors. I enjoyed a lot presenting there and I had some interesting new partnership options which came up after the pitch. We have created different sponsorship packages in order to measure up with the expectations of our stakeholders. Looking forward to personally discuss the sponsoring options with you.